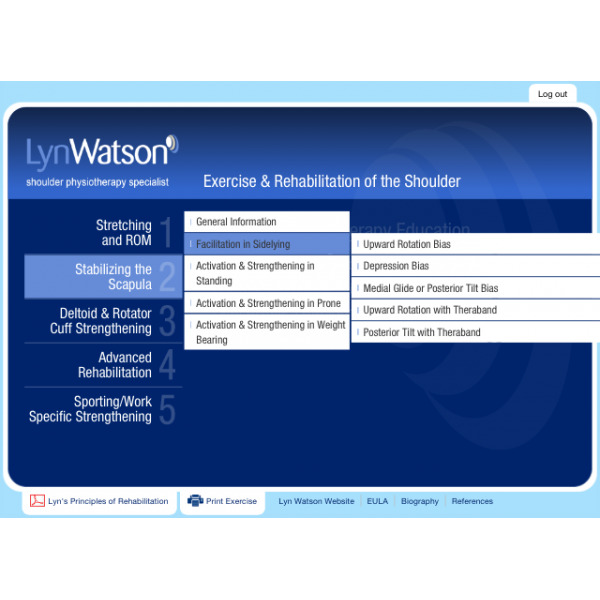 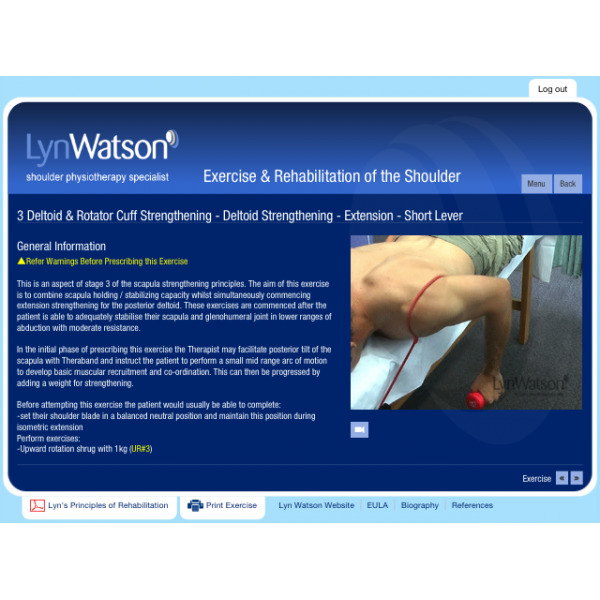 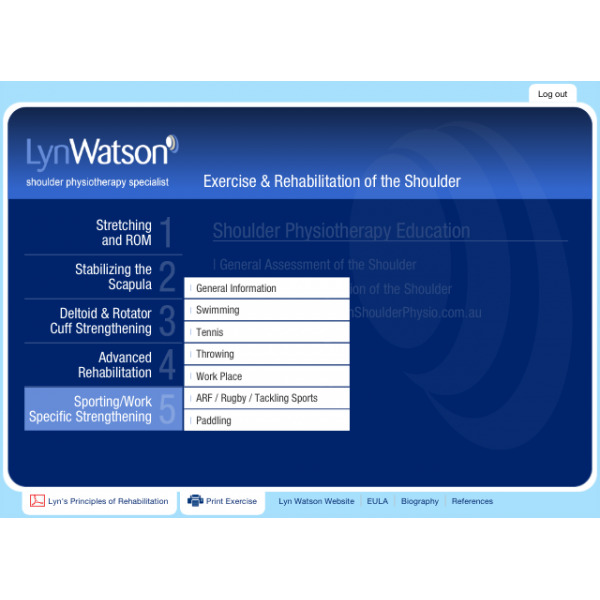 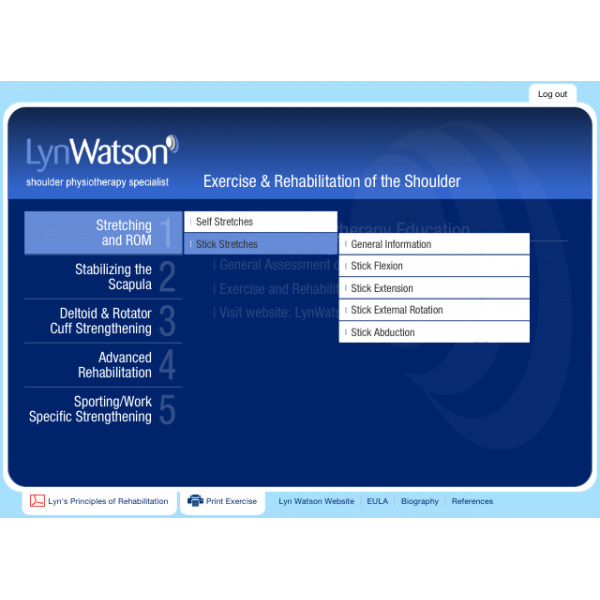 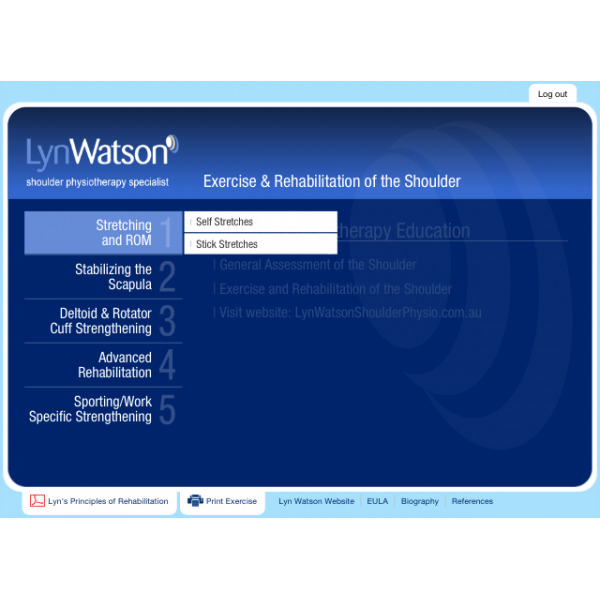 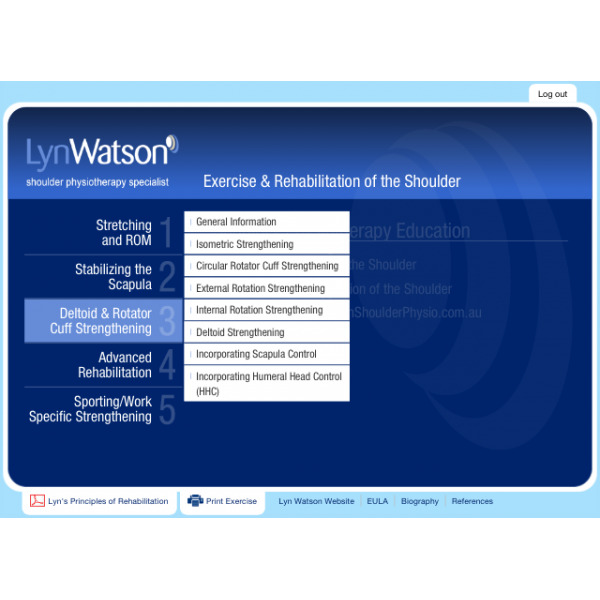 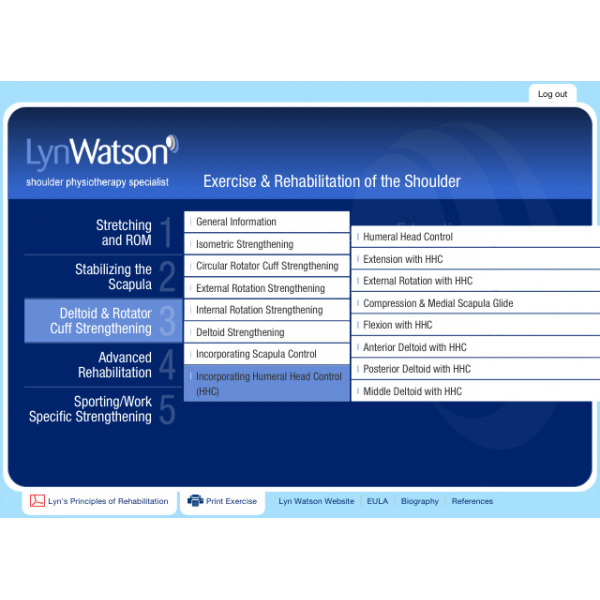 Lyns' Principles of Shoulder Rehabilitation forms the theoretical and clinical decision-making framework for the rehabilitation section of her Internationally renowned Shoulder Physiotherapy Courses. 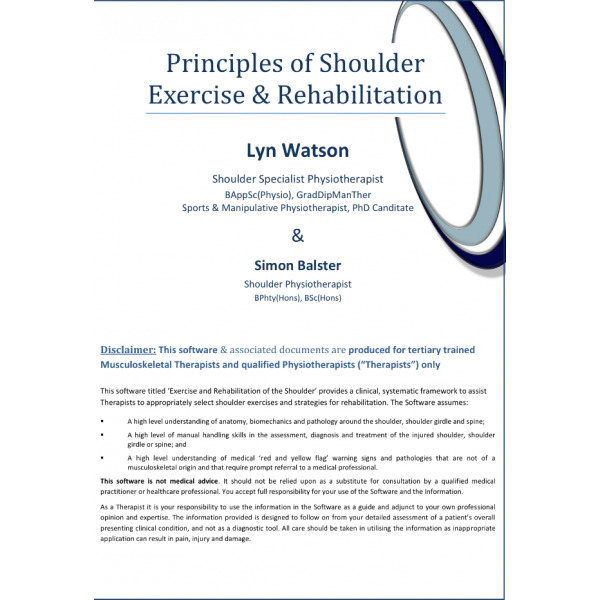 The equivalent of 60 pages of background, clinical rationale and research associated with the selection of the exercises in each section. 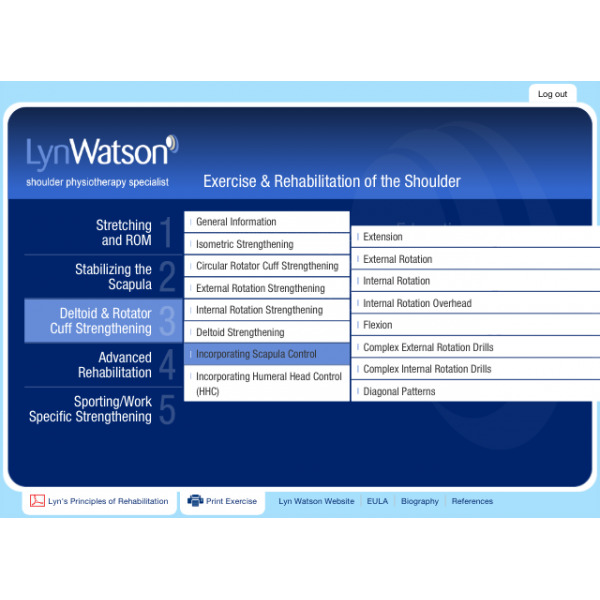 A "Print Exercise" library of every Exercise image that allows the Therapist to create tailored exercise sheets for their patient to take home. 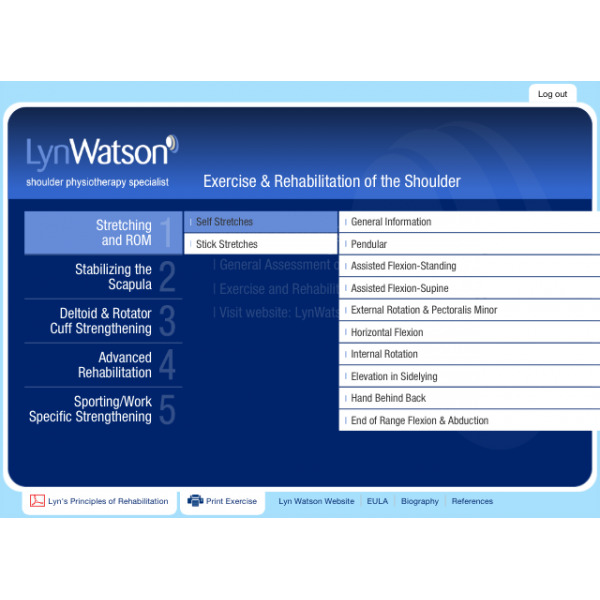 The Print Exercise Tab takes you to an image library of all, 150+, standard exercises. 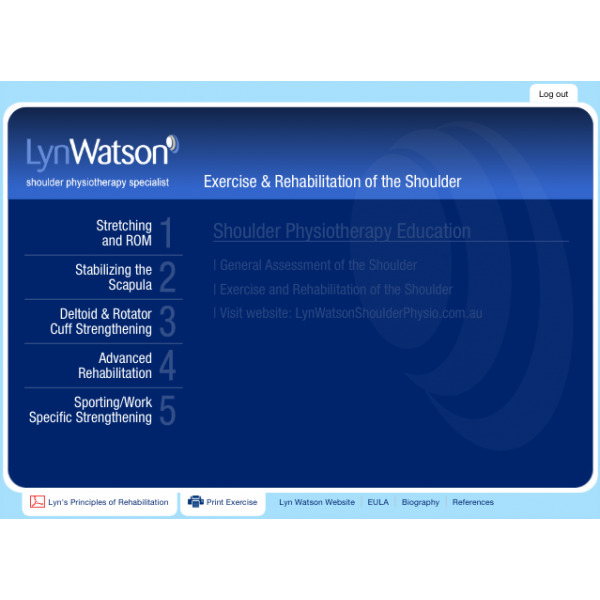 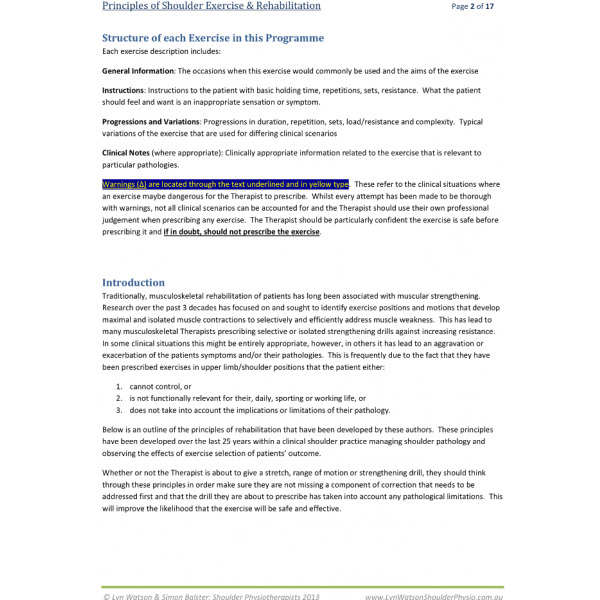 Renewal of your subscription to Exercise & Rehabilitation of the Shoulder at the completion of your 12 month subscription will be discounted to $55 AUD.